Thankful Sunday... Luke and his music make me smile! The first song of his that I knew was his was "Country Girl (Shake it for Me)" which is such an upbeat song you can't help but smile and move with it. I've had a lot of responsibilities in my life and letting loose and having fun have not always been possible for me. So, listening to his "tailgate party" songs just lifts me up. My mom died when I was 12, after a 4 year battle with breast cancer& my dad did not emotionally deal with it very well. From that point on, I pretty much had to be an adult (of course I did not realize that at the time). Since 2006, my husband has suffered from a panic disorder which means I don't get to get out and have "me time" with friends very often. 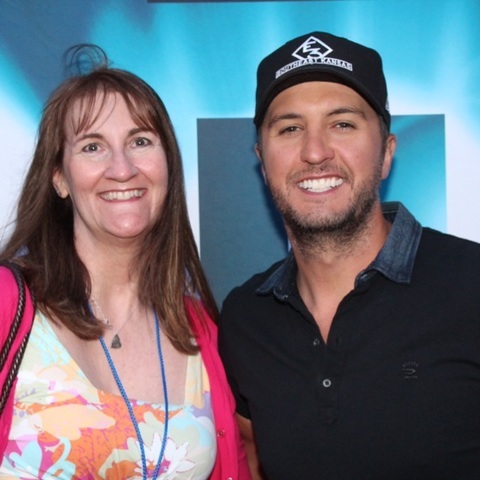 Luke's music lets me escape (better than Calgon any day) and have a party in my head! I am thankful that I own my own CPA practice and can support us and my own health is good, don't get me wrong. But there are days when Luke blasts out of my computer while I am working and everything is right with the world. When I see, through LBTV and live streams, how Luke has so much fun while he is working, it reminds me that there are ways to meet responsibilities and still have fun I apparently need that reminder... A LOT. Luke just has a presence that shines right through him. 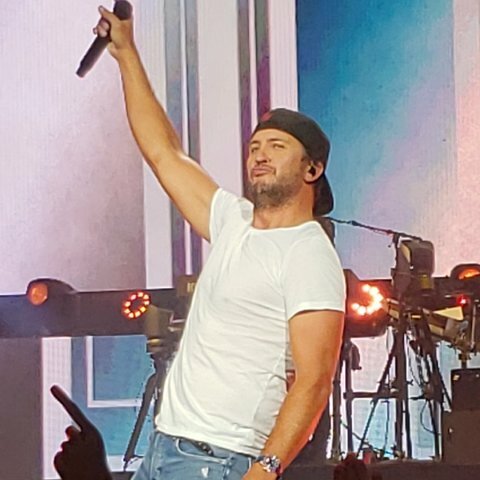 The 2 Luke concerts I've attended have been more fun for me that most adults can imagine. Thanks for just being you Liuke.